One theory that is by far mind boggling and perhaps one of the most interesting is the multiverse theory or M theory. It says that there could hypothetically be more than one universe other than our own. It may sound ludicrous to you but just think back to when we believed there was only one our one Sun and then we realized most of those bright dots in the sky are suns or stars! Think about when we felt that Earth was the only planet that had water then we discovered Europa (a moon not even a planet!) has water as well (even more than we do). It seems that whenever we believe something is rare and unique we get slapped by the universe as a reminder that the possibilities are endless and we only just scratched the surface. Moving along straight to the reported evidence of possible universes pulling on our own. Now how do we even know that? Well first we have to thank the European Space Agency for running the Planck mission all these years to study the universe in its infancy. The way they do that is by studying the cosmic microwave background radiation which is left from when the universe was born. As their cameras got upgraded and the data became more detailed researchers found strange anomalies. The first image at the top shows a cold spot located in the southern hemisphere. Scientists cannot predict why that would happen with current models of physics which led other researchers to believe that a different force was acting on it. The second image or the image above is a graphic is explained directly from the researchers on the Planck mission. 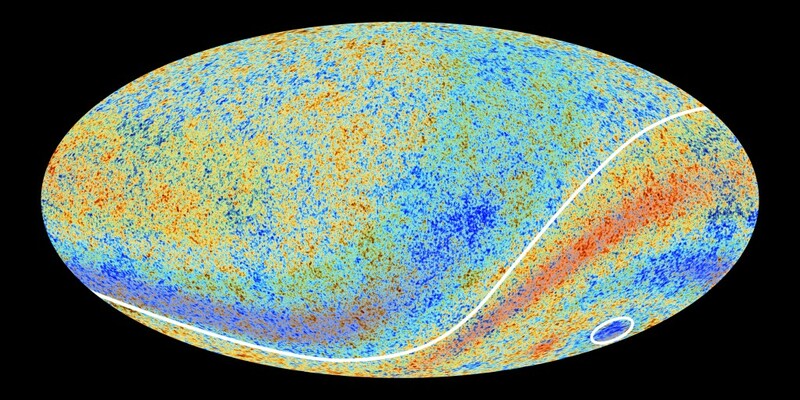 “When compared to the best fit of observations to the standard model of cosmology, Planck’s high-precision capabilities reveal that the fluctuations in the cosmic microwave background at large scales are not as strong as expected. 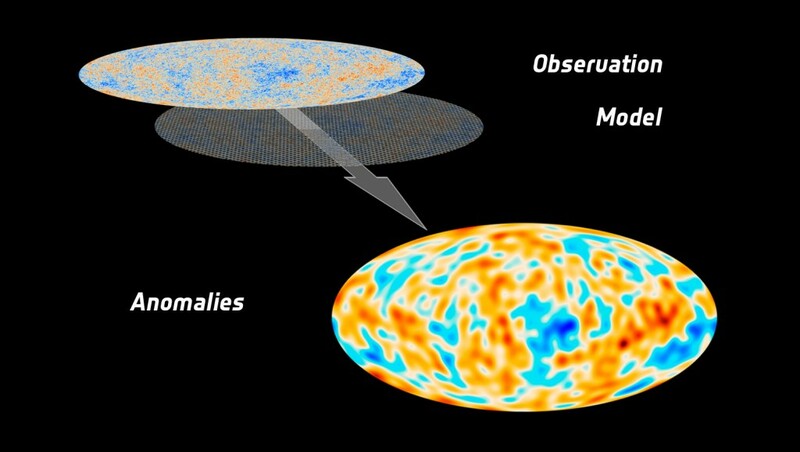 The graphic shows a map derived from the difference between the two, which is representative of what the anomalies could look like.” Meaning the image above is showing you the result of what the anomalies look like. So when the news broke out that multiverse has hard evidence it was really other multiverse scientists coming on and taking the anomalies found in planck data and linking another universe pulling on our own. However, many planck scientists feel a lot of these claims are outlandish and not concrete enough to determine whether this multiverse truly exists and if this is real proof for it. Many believe in something called ‘Dark Flow‘ which basically says that there is distribution of matter in the universe that cannot account for it. 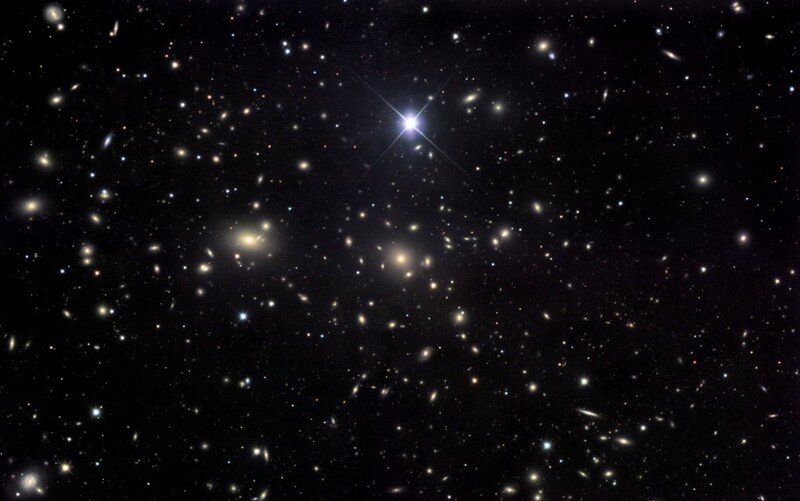 The image above is called the Coma Galaxy Cluster which contributes to the dark flow. So evidence of dark flow falls back onto the multiverse theory and maybe there is a external gravitational force coming from something outside our universe beyond our horizon if you will. Researchers have been able to track this dark flow and it seems to be moving away from Earth. It wasn’t something we set to find but it’s still there nonetheless and we need to figure out what it is. The main take away from this is that there are some very strange anomalies that have stumped not only our brightest scientists but our standard model of physics can’t even make sense of it. Perhaps it is another universe pulling on our own or perhaps something entirely different. This is what’s exciting about science is boiling it down to the truth and having that “hm that’s interesting” moment. Planck mission just ended and is burning the last of its fuel as I’m writing this post. It doesn’t mean our search has ended but a new mission will take its place soon. For more information you can read the source here.